Intel Capital-backed Silicon Valley start-up Verismo Networks has taken over Digital Entertainment Corporation of India (DECI), a holding company run by digital industry veteran Sab Kanaujia. However, the deal value has not been disclosed by the company. Verismo offers VuNow, an IPTV platform targeted at cable TV operators (multi-system operators), Internet service providers (ISPs) and cellular operators. It enables them to bring video on demand, VoIP and other social networking applications to televisions. The company claims that the platform has already been deployed by its partners across 92 countries and an average VuNow user consumes over three hours of content per day. DECI has been incorporated as Verismo's new entertainment services unit, to be headed by Kanaujia. He will be responsible for all areas including content acquisition, products, operations, marketing and distribution. 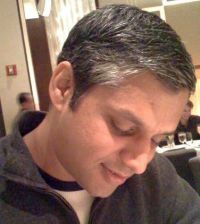 Prior to setting up DECI in January, 2010, Kanaujia was vice-president (digital product strategy & development) at NBC Universal, based in the New York headquarters. At NBC Universal, he had led the digital product strategy and development across all digital businesses including nbc.com, iVillage.com, scifi.com, bravotv.com, nbcsports.com, usanetworks.com and accesshollywood.com. He had also served as director at AOL and also at the American Industrial Acquisition Corp.
DECI is focused on delivering entertainment services to a global audience and has synergies with Verismo's platform. In a blog post, Kanaujia says, "The partnership with Verismo provides us extremely complementary abilities to continue to execute on the vision of Digital Entertainment Corporation of India, a global entertainment venture that I launched last year after leaving NBC Universal." He is also a Charter Member of The Indus Entrepreneurs (TiE) in Silicon Valley. Prakash Bhalerao, chairman and CEO of Verismo Networks, said, "Delivering new entertainment content and content-rich services over our proven and widely deployed broadband entertainment platform is a high priority for Verismo Networks. Kanaujia has been a proven innovator in his previous roles and we are excited to have him join our team." Verismo had first raised an angel round of funding worth $2.5 million from Bhalerao in 2006. In November, 2010, it closed another $17 million of funding, led by Intel Capital, the corporate venture capital arm of chipmaker Intel Corporation. The investments went into expanding its operations and reach, as the company attempts to redefine the home television entertainment experience. The company runs a research and design centre in Bangalore.